I know there are a lot of people out there who don’t know where my blog name came from. So I thought I would do a quick post on it. 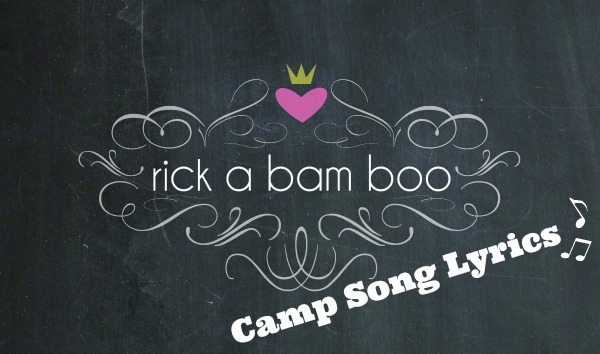 The name comes from my favorite girls camp song, Rickabamboo. The song is song in an echo, meaning the leader(s) sing a line and everyone else repeats it back. There are also movements that go with each line. It’s just a fun song to sing and do the motions of. Plus it brings back fond memories of girls camp when I was a teenager. Have you sung Rickabamboo before? What is your favorite camp song?